Adding value to products: Packaging and storage facility, Seseco, Uganda. Credit, Agriculture for Impact. Agricultural value chains encompass the flow of products, knowledge and information between smallholder farmers and consumers. They offer the opportunity to capture added value at each stage of the production, marketing and consumption process. Smallholder farmers need to better engage with value chains in order to gain added value for improving their livelihoods, whilst reducing their risks and increasing their resilience. As value chains differ considerably across countries and products, more research is needed to identify the optimal configuration enabling smallholder farmers to gain a greater share of their value and assume fewer risks. If agricultural value chains are to offer pro-poor opportunities for growth, then those markets in which smallholders can have a ‘comparative advantage’ need to be identified and the producers actively assisted. Smallholders with a strong social network can draw upon their ‎social capital to strengthen their position within a value chain. For example, an effective producer organization or cooperative can help smallholder farmers increase their bargaining power by helping them enter into high-value supply chains and provide support for acquiring information on market prices and requirements. 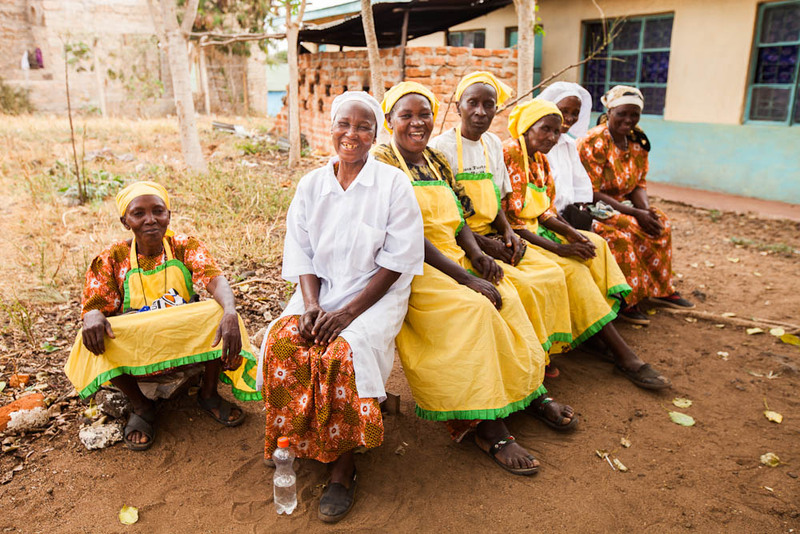 Kenyan Huruma women’s group add value to staples such as maize by turning them into baked goods for sale in markets. Governments can support the development and coordination of value chains. Investments that incentivize greater productivity and the ability to capture a higher value include transport infrastructure; energy for processing, chilling, drying, or and packaging commodities; research and extension services in new storage, processing and packaging technologies; and ‎‎education and training in product marketing. Perhaps the most critical role of governments is establishing systems of laws, regulation and governance, which set rules for fair and competitive markets for farmers, marketing agents and processors, and permit farmers to secure land and property rights. 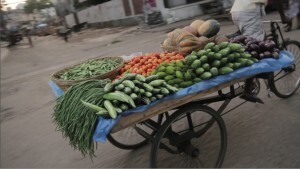 A farmer transports produce to the market. Credit, IFPRI. Whilst most smallholders participate in local value chains, increasingly multinational companies are playing an important role in developing value chain opportunities for smallholder farmers. For example, Unilever has made a public commitment to source more raw materials from smallholder farmers, helping to improve their agricultural practices and thus enabling them to supply global markets. Another major global food manufacturer, Nestle aims to create value for their shareholders and develop direct relationships between farmers and cooperatives through their Farmer Connect programme. Given the economic importance of agriculture in many African countries, improving the functionality and the accessibility along the whole agricultural value chain can bring multiple benefits for smallholder farmers. Participation in well-functioning value chains can offer job opportunities, services and connective infrastructure linking to wider markets. Rapidly growing global food markets can help to expand these benefits and share value across value chain participants. In some instances participating in a well-functioning value chain brings farmers not necessarily higher prices or incomes, but a more stable, resilient and predictable income. More than 80% of the value in the global food industry is in ‘value-added’ components ranging from sorting, cleaning and packaging for fruits and vegetables to processing and branding foods and beverages. Some of these value-added activities require skills, financing and scale, but simpler changes can also capture higher value. These activities can provide a way for farmers to expand and access higher-value national, regional or international markets. They can also provide greater employment opportunities, especially for women who are particularly active in food processing. 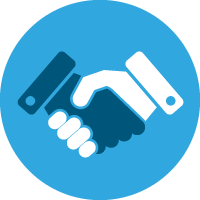 Contract farming allows farmers and buyers to better coordinate their efforts which allows for a degree of assurance ameliorating some of the main areas of risk: price, quality, quantity and time of delivery. Although farmers have benefited from contractual agreements, there is substantial evidence that the smallest farmers are often unable to enter formal arrangements. Cooperatives have also come back into favour with donors and NGO’s as a way to facilitate smallholder participation in a particular part of a value chain (such as production, post-harvest handling or marketing), or control entire chains. However, larger cooperatives may require a hierarchical system to be put into place for effective coordination. As cooperatives are typically based on voluntary membership, joint interests and participatory decision-making, imposed hierarchical structures can prove challenging. In recent years there has been a shift that focuses greater attention on staple and other food value chains, where small-scale producers, especially women, tend to be more active. If ‎social capital is built among resource-poor women, they can engage in economic activities that will improve their livelihoods. Some initiatives in Burkina Faso and Senegal show that when women pull their resources together and receive adequate support and accompaniment, they can engage in higher value markets (such as the cosmetics markets), increase their control over several stages of value chains and even become involved in the coordination of the value chain. Whilst agricultural value chains offer new income earning opportunities, they can also create barriers to market access for smallholders. In some cases, the concentration of market power at specific points in the value chain reduces the incomes of other actors, particularly those exposed to high levels of risk such as smallholder farmers and women. To reduce the risk borne by those at the base of agricultural value chains, more work is needed to identify the types of markets where smallholder farmers can have a ‘comparative advantage’ and identify the types of support that will enable them to harness greater value. 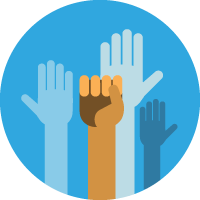 Support may come in the form of interprofessional associations or ‘innovative platforms.’ These are private bodies, recognised by the state, which group together upstream and downstream partners of the same commodity along a value chain. They aim to make the value chain more efficient by identifying and overcoming bottlenecks. They are a form of bridging capital (links across communities) that offers a way to deal with the multiple stakeholders – farmers, traders, processors, input and credit suppliers, insurers, policymakers and researchers – involved in a commodity value chain. Participating effectively in agricultural value chains requires multiple forms of support such as improved access to credit, insurance, or ‎‎education. For example, value chain finance (the flows of funds to and among the various links within a value chain) can help smallholders access credit for expanding their farming operations and value-added activities. Typically, value chain finance systems allow borrowers to benefit from higher lending at better terms and obtain loans that reflect the cash flow pattern consistent with their producing, processing or trading activities. Such interventions are growing in popularity with donors as a means of promoting economic growth and poverty reduction. There are extensive opportunities for value chain interventions within Africa, through upgrading, deepening and expansion. Upgrading value chains refers to moving value chains in a new direction, such as towards new customers, adding operations, or increasing efficiency. This may be achieved by building infrastructure for water storage, conservation and irrigation; establishing local seed and fertiliser companies to improve productivity and improve a customer base, or stimulate microcredit or microinsurance. Deepening value chains involves addressing gaps such as unmet market demand or seeking opportunities for vertical and horizontal integration, greater specialization, and the expansion of services. This may involve the formation of associations or cooperatives providing opportunities for fragmented producers or businesses to combine their resources to add value. Expanding value chains involves the growth of trade for the urban retail sector. This may be achieved through joint ventures that share the risk of incorporating new elements into the value chain or investing in new technologies, particularly in fresh produce preparation, packaging, and the establishment of logistics centres. Informal and regional markets are growing faster or as fast than global value chains (GVCs), as the GVC approach targets the most well off farmers, better able to meet the quality and quantity standards. Conway, G 2012, One Billion Hungry, Can We Feed The World? Cornell University Press, Ithaca and London. Agriculture for Impact 2014, Small and Growing: Entrepreneurship in African Agriculture, A Montpellier Panel Report, London. Trienekens, JH 2011, ‘Agricultural value chains in developing countries a framework for analysis’ International Food and Agribusiness Management Review, vol. 14 no. 2, pp. 51-82. Nedelcovych, M & Sciferaw, D 2012, Private Sector Perspectives for Strengthening Agribusiness Value Chains in Africa: Case Studoes for, Ethiopia, Ghana, Kenya, and Mali, Partnership to Cut Hunger and Poverty in Africa, Washington, DC. Schaffnit-Chatterjee, C 2014, Agricultural value chains in Sub-Saharan Africa: From a development challenge to a business opportunity, Deutsche Bank Research, Frankfurt am Main. Food and Agriculture Organisation of the United Nations (FAO) & International Fund for Agricultural Development (IFAD) 2012, Good Practices in Building Innovation Rural Institutions to Increase Food Security, FAO & IFAD, Rome. Bijman, J, Muradian, R, & Cehin, A 2011, ‘Agricultural coopeatives and value chain coordination’ in: eds. AHJ Helmsing & S Vellema, Value chains, social inclusion and economic development: Contrasting Theories and Realities, Routledge, London & New York, pp. 82-101. Food and Agriculture Organization of the United Nations (FAO) 2011, Save and Grow: A Policymaker's Guide to Sustainable Intensification of Smallholder Crop Production, FAO, Rome. Miller, C & Jones, L 2010, Agricultural Value Chain Finance: Tools and Lessons, Food and Agriculture Organization of the United Nations (FAO) & Pracrical Action Publishing, Rome & Bourton on Dunsmore. International Fund for Agricultural Development (IFAD) 2012, Agricultural value chain finance strategy and design: Technical Note, IFAD, Rome. Food and Agricultural Organisation of the United Nations (FAO) 2015, Value Chain Finance, Available from: <http://www.fao.org/ag/ags/agricultural-finance-and-investment/value-chain-finance/en/> [9 July 2015]. Training women farmers in Kenya. Credit, V. Atakos, CCAFS. In 2004, FARM-Africa funded the World Vegetable Centre (AVRDC) “to increase the productivity, utilisation and marketing” of African Indigenous Vegetables (AIVs), such as amaranth, cowpeas, nightshades, spinach, kales and cabbage, in order to improve the health, nutrition and income of vulnerable groups in Kenya and Tanzania. About 500 farmers were organized into 20 groups and on average 20 beds (0.05–0.1ha each) were cultivated per farmer. The project used innovative approaches such as (1) training of trainers and support to business groups; (2) information about production and marketing; (3) changes in the production of indigenous vegetables; (4) seed dissemination, distribution and multiplication; and (5) increased market orientation through business support units. Farmers were able to obtain greater returns from sales as well as use 50% less fertiliser and 30% less pesticide than for conventionally grown vegetables, earning an annual income of $3,000–4,500. 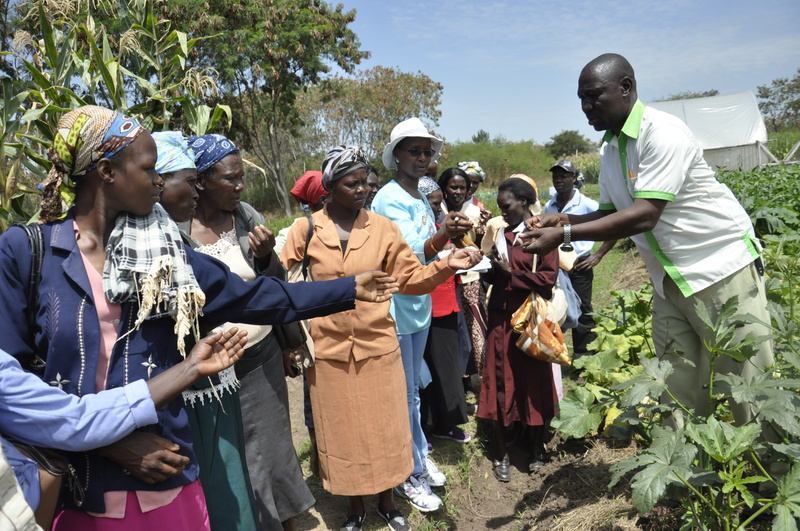 The project stimulated ‎social cohesion, especially in Kenya where farmers met frequently to exchange views on marketing and production strategies. Women particularly benefitted through training and education about the benefits of AIV’s. Following the training, women who previously considered AIVs to be weeds reported that they used them to improve household food security and income. They now perceive AIVs to be nutritious, easily available at little cost, to bridge food gaps during dry periods and offer a source of income without interference from male family members. More than 60% of farmers groups involved in the project were able to penetrate several markets with their AIVs. One farmer, Mama Perina, invested her additional income in growing AIVs, primarily for her own consumption but also to sell to neighbours and traders. Other women farmers are known to spend their additional income on the welfare of their families, including more nutritious food, medicines and schooling. Pretty, J, Toulmin, C & Williams, S 2011, ‘Sustainable intensification in African agriculture’ International Journal of Agricultural Sustainability, vol. 9 no. 1, pp. 5-24. Muhanji, G, Roothaert, RL, Webo, C & Stanley, M 2011, ‘African indigenous vegetable enterprises and market access for small-scale farmers in East Africa’ International Journal of Agricultural Sustainability vol. 9 no.1 pp. 194-202. Inspecting milk in Kamwosor Village. Credit, Heifer International. 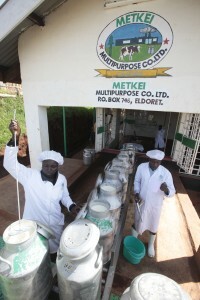 With long term support from Heifer International in Kenya (HPI-K), the viability of the ‘hub model’ has been re-established, following previous attempts to form cooperatives, which were unsuccessful due to corruption and mismanagement. A hub, in this case, is an economic centre of a farming community, insuring effective marketing of farm products into better paying urban markets, and bringing in farm supplies and services needed by the community. The hub model is an approach that utilises a profitable agribusiness centre to support a network of businesses by delivering supplies and services to farmers within the network. Farmers organise themselves into dairy farmer business associations which market the milk collectively. Any surplus milk that a farmer produces is taken to the collection centre through a network of local transporters. The centre tests, filters, and chills the milk, and then sells it on to processors. The centre can offer more favourable rates because they are processing larger volumes of milk and quality is controlled all from one source. Ultimately, individual dairy farmers find it easier to access inputs, services and facilities for bulking and cooling raw milk leading to increased incomes. Kruse, G 2012, The Chilling Hub Model and Social Capital in Dairy Value Chain Development: A Case of Heifer International in Kenya, Heifer International, Nairobi. Woman sieving rice, Senegal. Credit, Engility Bruno Déméocq. 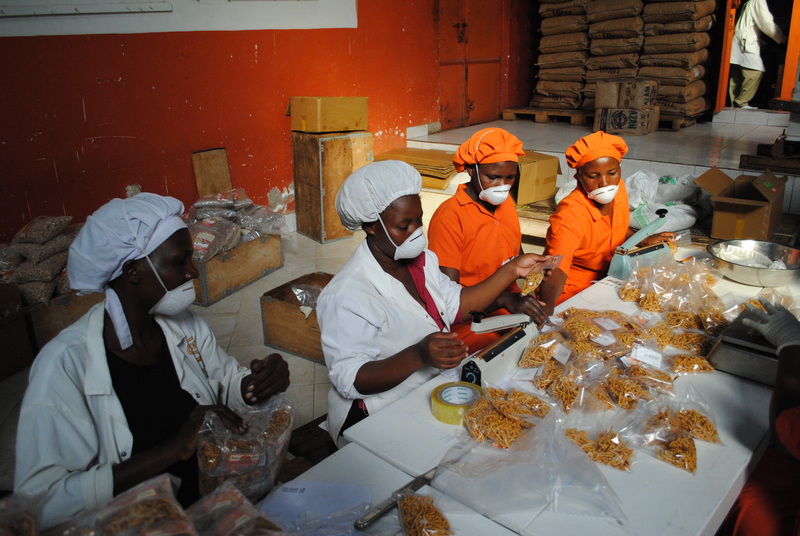 Women are often constrained within production and processing areas of a value chain, because they lack access to information, capital, technical skills and the confidence needed to engage in more complex activities such as bulk marketing, export markets, or higher value-adding activities. By forming Economic Interest Groups (EIGs) women can pool resources, share knowledge and provide support to one another, allowing them better access to higher-value markets. In response to urban demand, women in the city of Thies, Senegal created an EIG to engage in processing local raw products into ready-to-use products. The EIG Keur Tafsir Makhary helps its 15 women members develop and improve food-processing techniques to diversify the types of products they can commercialise. The EIG members transform a variety of products including maize, honey, cassava, fruits and vegetables. 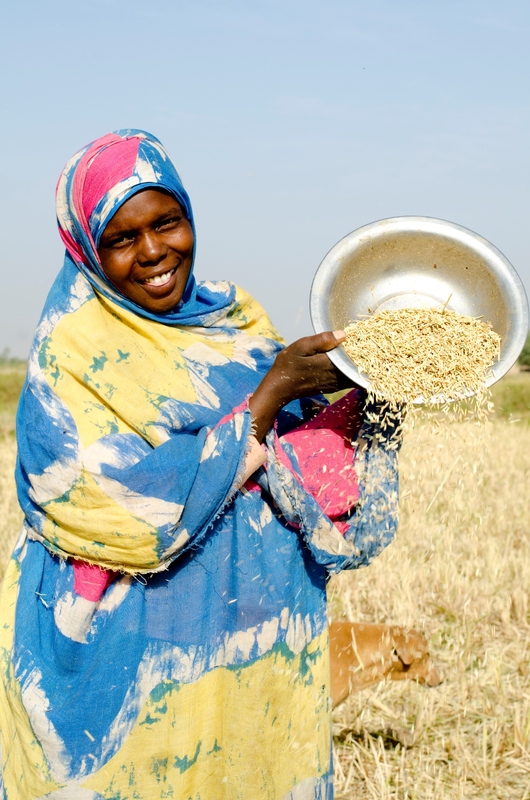 Following a sharp rise in rice prices between 2007 and 2008 the group took the initiative to start making couscous out of cassava, which they now market from their homes or local shops as an alternative to rice. Cassava couscous and flour are their most popular products. Whilst the EIG has had a positive impact on the women’s revenue, it remains to be seen how the EIG can better position itself in markets for processed products. Members still face several challenges: maintaining a steady supply of raw products, especially the cereals they have to buy; overcoming technical difficulties related to the lack of suitable equipment; obtaining adequate training and transport; improving labelling and packaging; and expanding points of sale. Elbehre, A & Lee, M 2011, The role of women producer organizations in agricultural value chains: Practical lessons from Africa and India, Food and Agriculture Organisation of the United Nations, Rome.